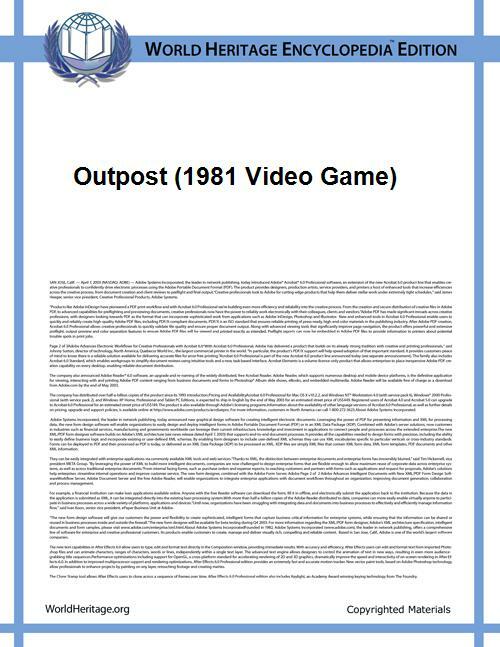 Outpost is an arcade game programmed by Tom Orlando McWilliams and published by Sirius Software in 1981. This arcade game-related article is a stub. You can help World Heritage Encyclopedia by expanding it.